I'm not sure why this post didn't go through when I originally set it up to post. I apologize for the delay and am sorry to say the event mentioned is already over. However, I still feel the information is valid and important. September is National Suicide Prevention Awareness Month and today is World Suicide Prevention Day. 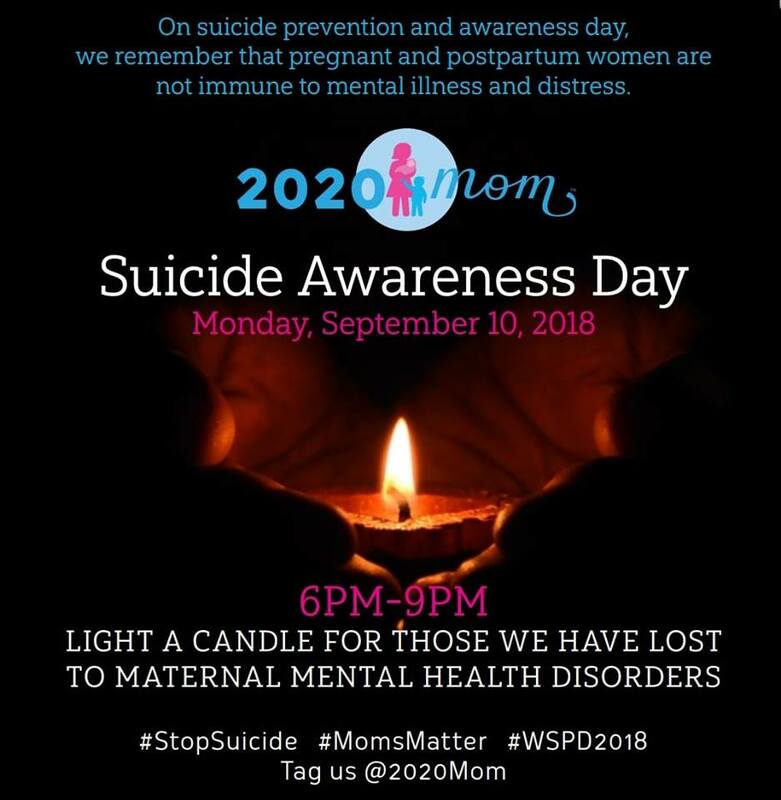 In memory of those lost to Maternal Mental Health Disorders, tonight between 6-9 PM I'll be lighting a candle for those lost to Maternal Mental Health Disorder. (You can join in too - here on Facebook and by using the hashtags in the photo above.) In addition to that, I wanted to share a post I've been working on for awhile but hadn't gotten around to sharing. There's clinical, stark definitions of postpartum depression and anxiety. And then there's real life. It is not wanting to get out of bed. Not wanting to move a single solitary muscle. Hearing your kids waking up, seeing the sunshine streaming in through the window, listening to the birds singing, and burrowing under the blankets, feeling like a terrible burden is already crushing you. It is feeling a deep, deep sadness that makes you cry and cry and cry. You can feel it in your bones. Everything is upsetting and overwhelming, even simple decisions like what to have for dinner or what to watch on TV. It is anger, heated and hot and terrible. It's having an argument and in the midst of it, your jaw clenching, your pulse racing, and feeling ready to throw punches. Seeing red. Thinking of (and possibly saying?) the most horrible things you can think of because you are so, so, so angry. It is staring at your sleeping partner while insomnia plagues you yet again. Being so exhausted, so bone-tired, and yet still unable to sleep. Scrolling mindlessly through Facebook at 3 AM. Wanting to do so much the next day and not being able to form a coherent plan or to find the energy to execute it. It is feeling keyed up, when all you want to do is sleep. Legs jiggling nervously and hands roving, as you sit. Pacing the floor. Your baby is happily sleeping and you wish you could just lay down and relax. But you can't because you have a to-do list that will never be done. Your mind races with every kind of horrible thought - your baby falling out of the bassinet and cracking her head on the floor. The image is so crisp and clear, it feels like it could happen at any moment. You get up to retrieve her, and then suddenly you're picturing tripping and falling on top of her. You want to get in the car and go some place but all you can imagine is trying to drive and someone else slamming into you and pinning her in the wreckage. Or accidentally losing control of the wheel and driving off a bridge or into an embankment. You're terrified to even move. It is being so monumentally unhappy. Your every other thought becomes black and lonely. Your self esteem plummets. You don't want to shower or get dressed...what's the point? You feel fat and ugly and useless. Nothing fits right. Your hair is a mess. Any little thing someone says to you about your appearance is magnified tenfold. And put on continual repeat in your head. Sometimes it's people telling you that "it's just baby blues, everyone gets them." People act like it's no big deal - "You'll be fine in a few weeks." But you're not. Or worse, they say: "You have every reason to be happy." And they're right, aren't they? What do you have to be sad about? You just had a baby! You're the one who chose to have kids! You should just get over it! No. Postpartum depression and all of the other maternal mental health issues are real and affect so many moms, in so many different ways. As a 2020 Mom Ambassador, a doula, and a mom myself, I know all about it. I've created handouts on it, wrote papers on it, talked to people about it, held events about it, and read countless books about it. I know the signs, the symptoms, and the statistics. I've also suffered from it. I wrote that account above, on a very bleak day after the birth of my fifth child. (I also mentioned some feelings I had after the birth of my second child.) I was plagued by terrible crippling anxiety, depressive episodes, bouts of crying and moodiness, and moments of intense anger. How did I battle it? First, by admitting it. Just getting it out in the open to someone - someone who didn't brush it off - was one of the hardest things to do. When I had my first daughter, I didn't have any idea why I was so anxious. I thought I was "crazy" and was terrified to tell anyone. The next two births I barely had any baby blues. But then my fifth came around and WHEW...that was a whirlwind. Since I'm a doula now, it's easier for me to recognize the signs and symptoms, but that doesn't make it any easier to admit. Secondly, I got help and gave myself grace. I scaled back on our schedule and let some things go. I tried to ask for help when I needed it - not an easy feat - and I no longer said "yes" to everything. I told certain people when I was feeling off or down. I began doing breathing exercises again and working on centering myself in times of anxiety and fear. I began reading books and articles and basically anything I could get my hands on about maternal mental health issues. Lastly, I began connecting with others and seeing what I could do to help. 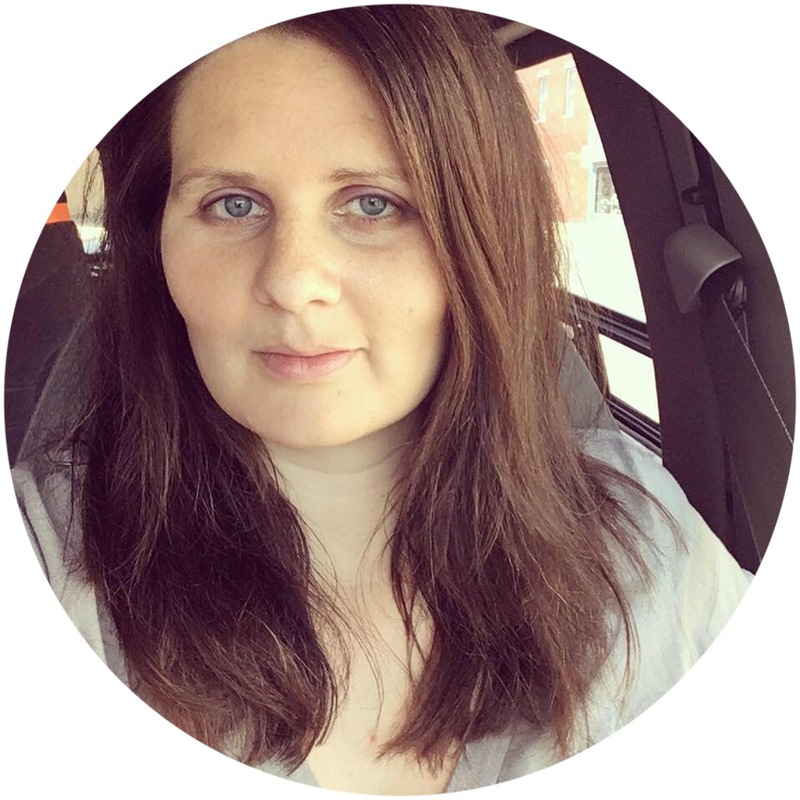 It was important to me to help other moms, to let them know they weren't alone. I see now how easily it is for ANYONE to be affected by depression, anxiety, or negative and even suicidal thoughts. 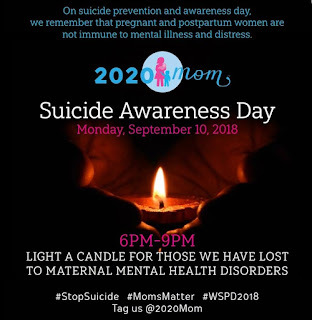 I've gotten involved with a superb maternal mental health organization - 2020 Mom - that provides a ton of great information and education, as well as advocating for mothers. Please join us in this event and share it with others!